Home / Tropical Builders Blog / Hilton Head Home Builder – What is the process of building a home on Hilton Head? 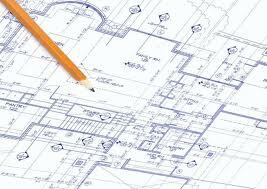 The Process of building a home on Hilton Head is different than many other areas. Most of Hilton Head is divided in to communities called Plantations and each of these Plantations have there own set of requirement for building. This adds another step to the permitting process before construction can begin. You Design/Builder or Architect will prepare plans for your home and submit them for design approval to the communities Architectural Review Board (ARB). This process can take any where from a couple of weeks to a couple of months in most cases. Once you receive approval from the communities ARB you can proceed with submitting the plan to the town of Hilton Head for review of building code compliance. This process usually take 1-2 weeks. So now that your have approval from the ARB and Town and all of your permit fees and building deposits are paid you can start construction essay captain. From the time that you start to clear the lot to the issuance of the certificate of occupancy should be approximately 8-12 months for your average custom home on Hilton Head.